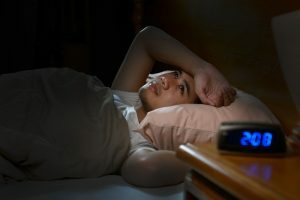 Sleep is as crucial to one’s recovery as regular exercise and a nutritious diet, but sleep disturbance is a problem that plagues most of us when we first stop using or drinking. As a result, we’re cranky, unable to function effectively, irritable, and reaching for coffee, energy drinks, and sugary or processed foods for a quick boost. In some cases, the lack of restful sleep can put you at risk for a return to drugs or alcohol — all the more reason to get a good sleep habit established early in recovery.